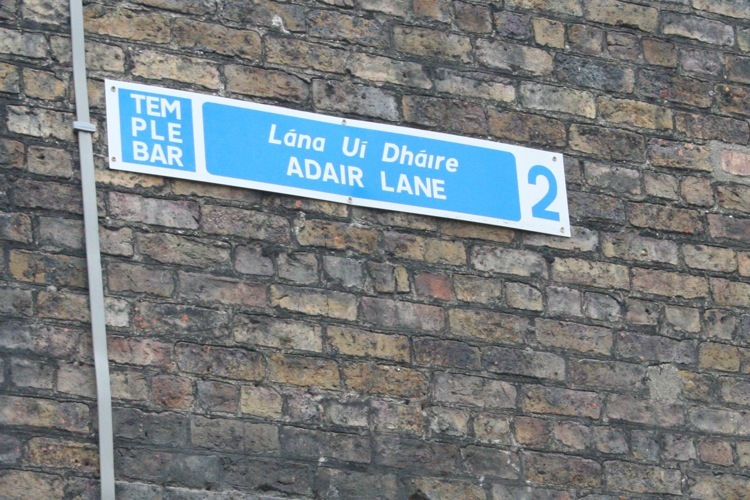 History from the Future 2- Adair Lane, 2007. 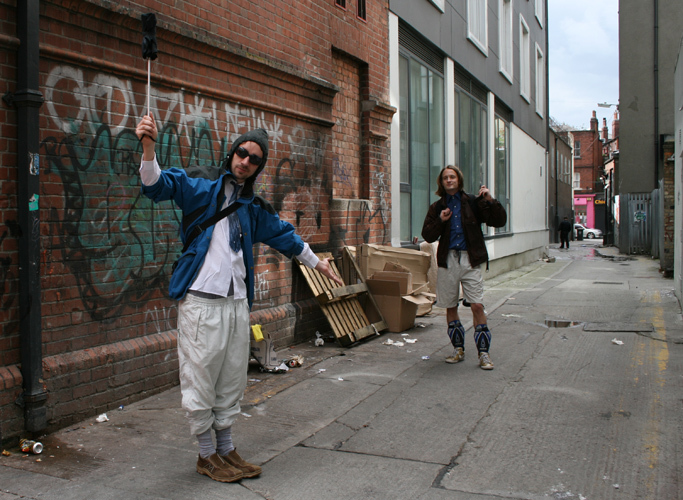 Performance for 'Out of Site', Dublin, Ireland. 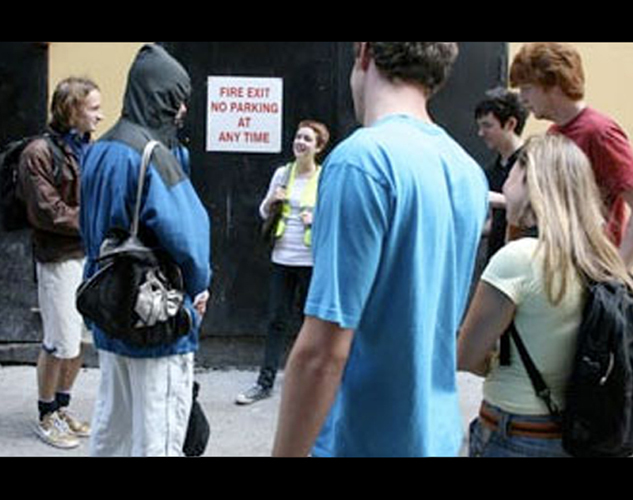 For Out Of Site 07, a performance festival in Dublin city centre curated by Michelle Browne, part two of the History from the Future series was performed in the streets of Temple Bar, Dublin. 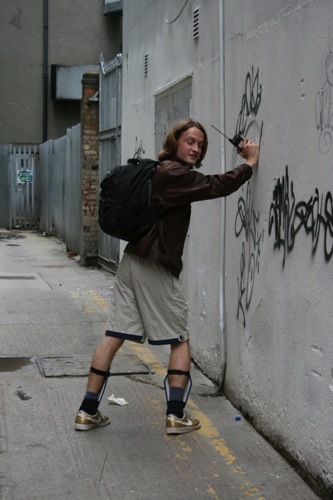 Activities centred on Adair Lane, a back alley used by many as a toilet, a rubbish bin or a place to vomit. 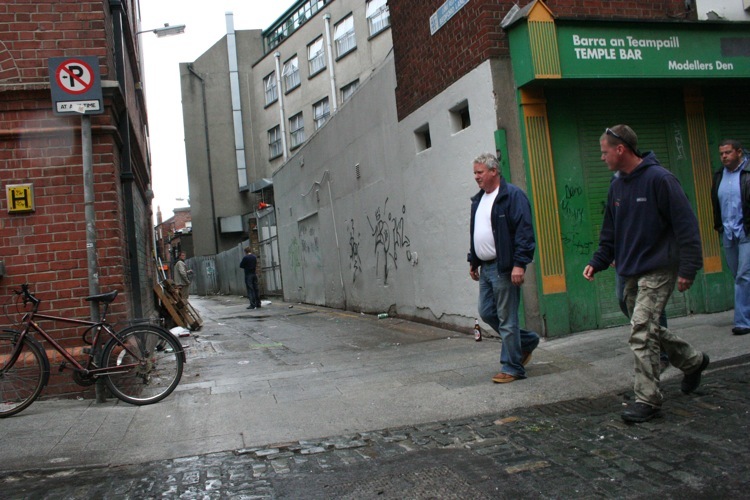 Over the course of 6 days, members of the public were given the opportunity to embark on a 20 minute guided tour of the alley ways that make up the hidden infrastructure of this tourist orientated quarter of Dublin. History from the Future- Adair Lane, was performed by Carl Giffney and Hugh Cooney to approximately 200 tourists and other interested parties. The tours were given from a future perspective, and focused on the behaviour of the men of the early 21st century who gathered here to blend their urines together in ceremonial acts. 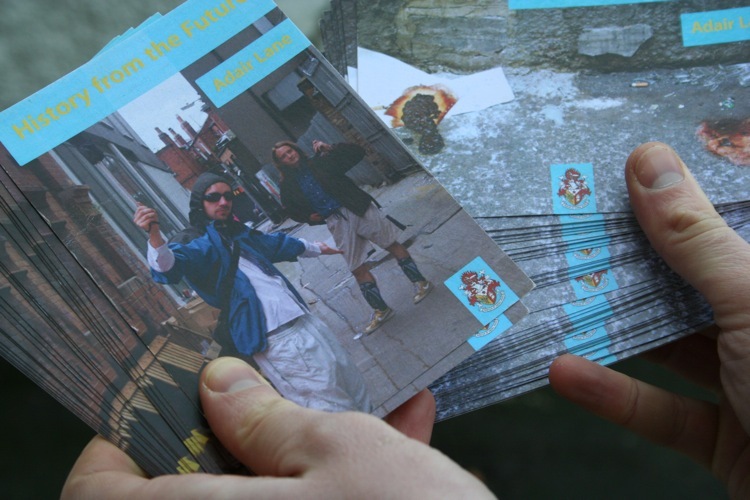 Postcards and key rings were sold on site as mementos of the tour.